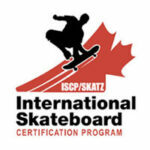 Our Instructors are ISCPD/SKATZ certified. This certification offers our instructors to teach lessons in a sustained, quality, and progressive way. It’s a great leadership development program so we can dynamically teach you or your children the FUNdamentals and safety of skateboarding. Are you looking to start your child in skateboarding, but want to see what it’s like first? Is your child serious about skateboarding, wanting to take his or her skills to the highest level? Free Trials are designed to give your child a chance to experience our top notch coaching and training, as well as, place them in the appropriate level program. This program is age and skill appropriate groupings, designed for beginners and first timers and works on the FUNdamentals of skateboarding. We recommend 2 sessions per week to maximize your child’s potential. This program is age and skill appropriate groupings, offering technical training in Vert, Mini and Street Riding. 2 sessions recommended. Designed for the aspiring professional skateboarder or the recreational skateboarder. This is for the most advanced group of skaters. The curriculum works around each skater’s upcoming contests and personal goals.